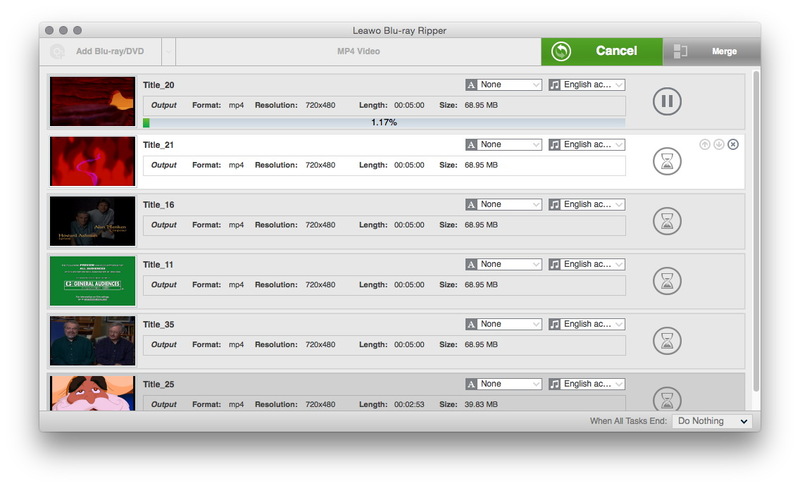 How to Rip and Convert Blu-Ray to iPad on Mac? “Anyone has a way to play Blu-ray movies on iPad? I just got my iPad mini 2 from Apple and several 1080P Blu-ray movies in disc. I’d like to play these Blu-ray movies on iPad mini 2 but have no idea how to do it. What should I do? A Blu-ray player for iPad mini 2 or an iPad mini Blu-ray converter? Thanks.” — from Johnson on Yahoo!Answers. As is known to all, currently there is no Blu-ray player for iPad that could directly play back Blu-ray discs on iPad as all iPad models such as iPad mini, iPad Air, New iPad, and iPad Pro don’t have Blu-ray drive. 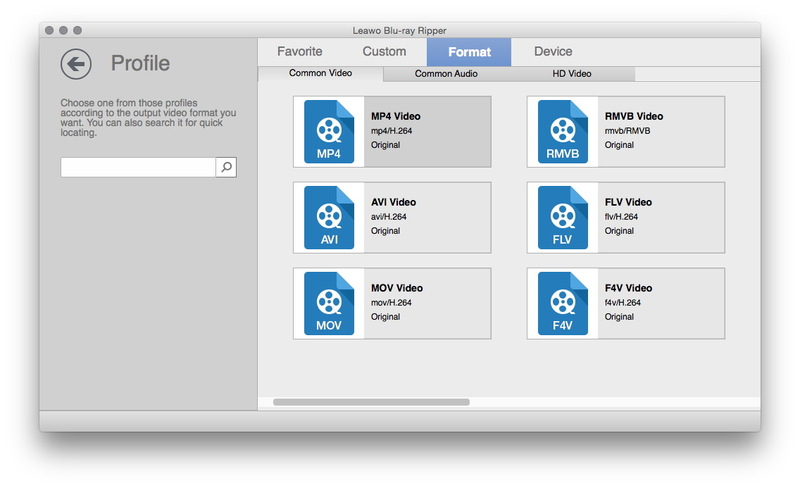 To play and watch Blu-ray discs on iPad mini, iPad Air, New iPad, and iPad Pro, you could convert Blu-ray to iPad compatible video formats by using Leawo Blu-ray Ripper for Mac, an easy to use and practical Mac Blu-ray to iPad converter that could help Mac users handle Blu-ray to video conversions perfectly. It could rip and convert Blu-ray movies to iPad videos in various formats like MP4, AVI, FLV, MOV, MKV, M4V, etc. on iMac or MacBook. You only need to install an external Blu-ray drive for your Mac computer and get your computer internet connected. Then you could follow the below steps to know how to rip and convert Blu-ray to iPad n Mac. Obviously, to convert Blu-ray to iPad video files, you need to make clear what formats Apple’s iPad tablet are friendly with. The below table shows you detailed info. Download, install and Launch this Mac Blu-ray to iPad converter on your computer before you start to convert Blu-ray to iPad videos. 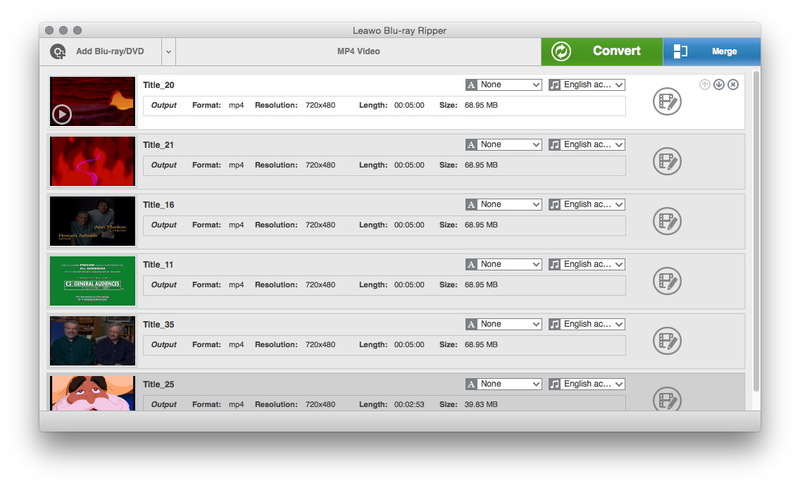 This Blu-ray to iPad Mac converter supports to convert both Blu-ray discs and Blu-ray folders. Click the “Add Blu-ray/DVD” button to load source Blu-ray disc or folders. If you want to convert Blu-ray discs, insert your Blu-ray disc into the Blu-ray drive before you click “Add Blu-ray/DVD” button. Click the clickable drop-down box before the big “Convert” button and then select “Change” option to enter “Profile” frame and choose MP4, MOV or H.264 from “Format” group for iPad tablet. For your convenience, you could also directly choose iPad from “Device” group. Tip: After setting output profile, open the drop-down box again and then select “Edit” option. 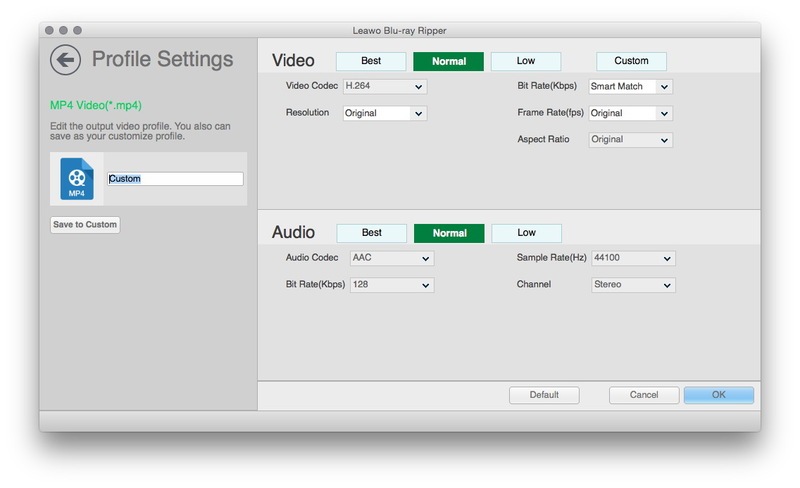 You’re guided to a “Profile Settings” panel, where you are able to adjust output profile parameters, including: video codec, audio codec, bit rate, aspect ratio, frame rate, channel, and other video/audio parameters for output files. After setting output profile, go back to the main interface and click the big green “Convert” button on the sub menu bar. On the popup sidebar, set output directory in “Save to” box. On the popup sidebar, click the “Convert” button to let this Blu-ray to iPad Mac converter start to rip Blu-ray to iPad on Mac immediately. After conversion, open the output directory folder you set in Step 2 and then import the converted Blu-ray movies (now in iPad compatible video format) to iTunes. Then connect your iPad tablet to computer and then sync the converted Blu-ray movies to start to transfer Blu-ray to iPad on Mac. You could also sync the converted Blu-ray movies via iCloud. 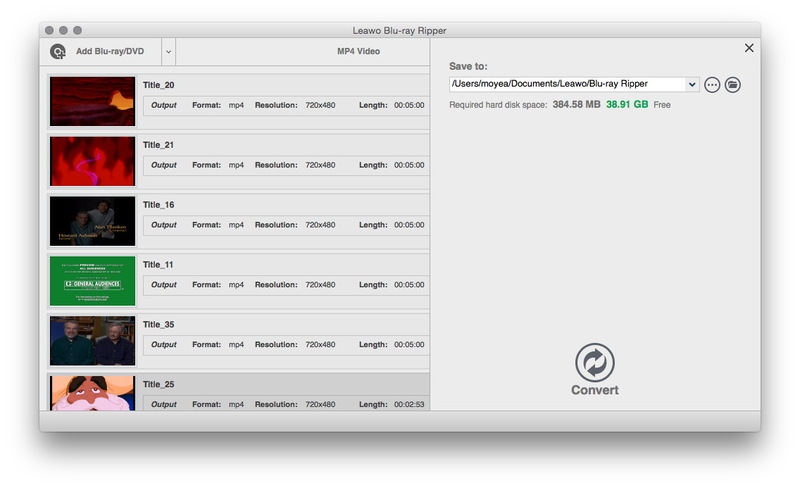 Note: Leawo Blu-ray Ripper is a Windows based Blu-ray to iPad converter that could convert Blu-ray to videos for iPad mini 2 and any other iPad models like iPad Air, New iPad and iPad Pro on Windows XP/Vista/7/8/8.1/10.